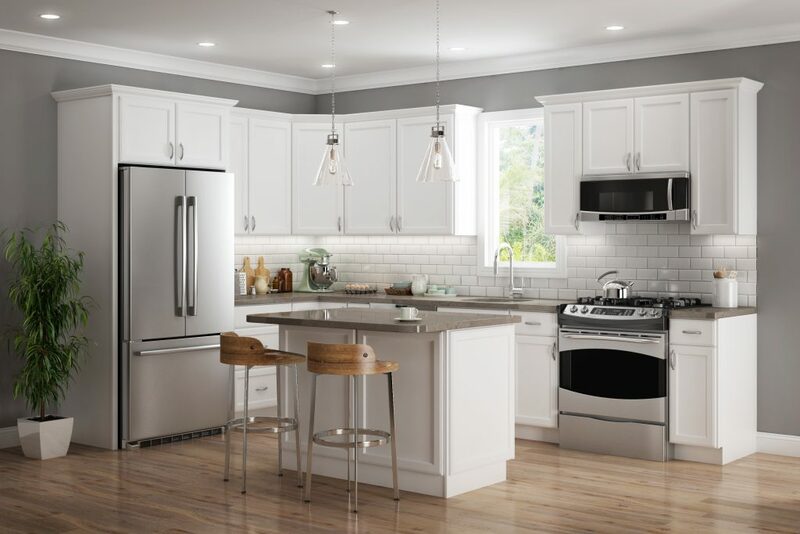 Amesbury White – Clean lines and a pure white finish accentuate classic Amesbury’s shaker style. 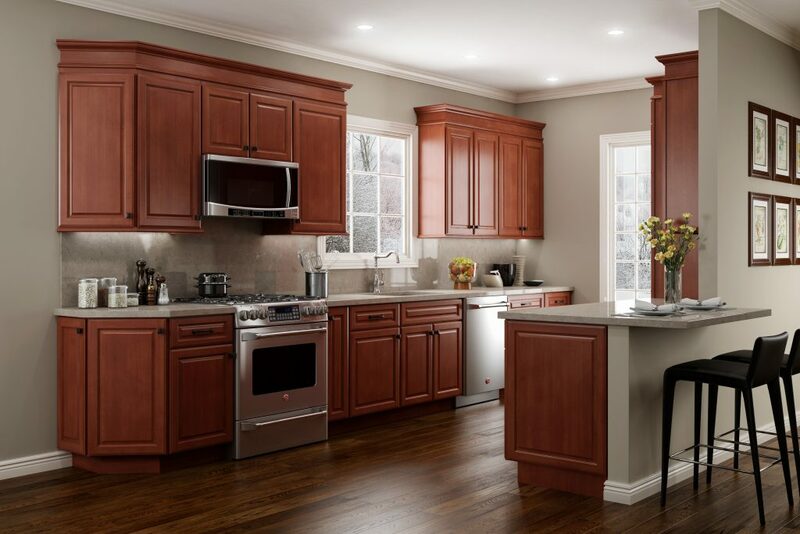 Amesbury Brown – A warm, inviting brown stain on a classic shaker style door will compliment any décor. 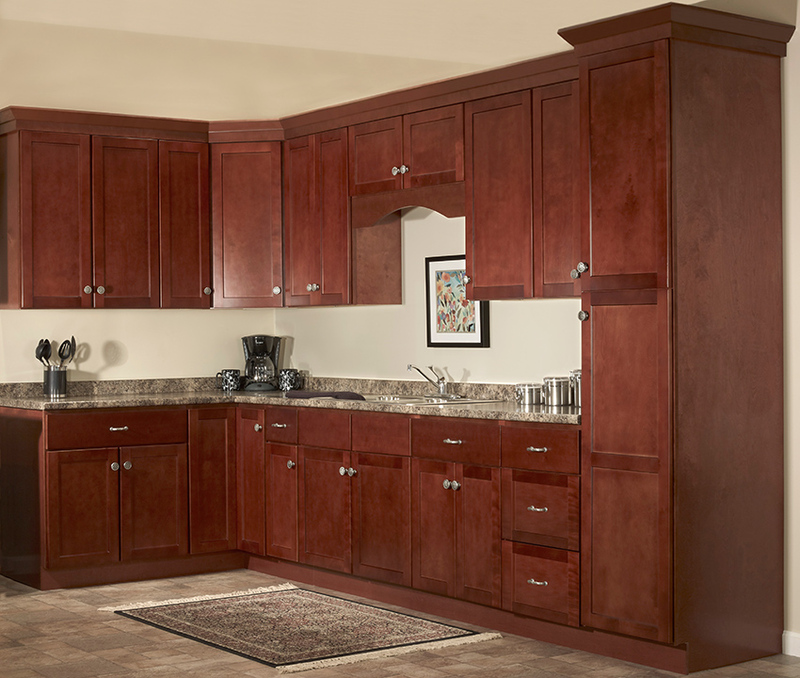 Amesbury Cherry – Deep red stain on shaker allows the look of high-end furniture in the kitchen. 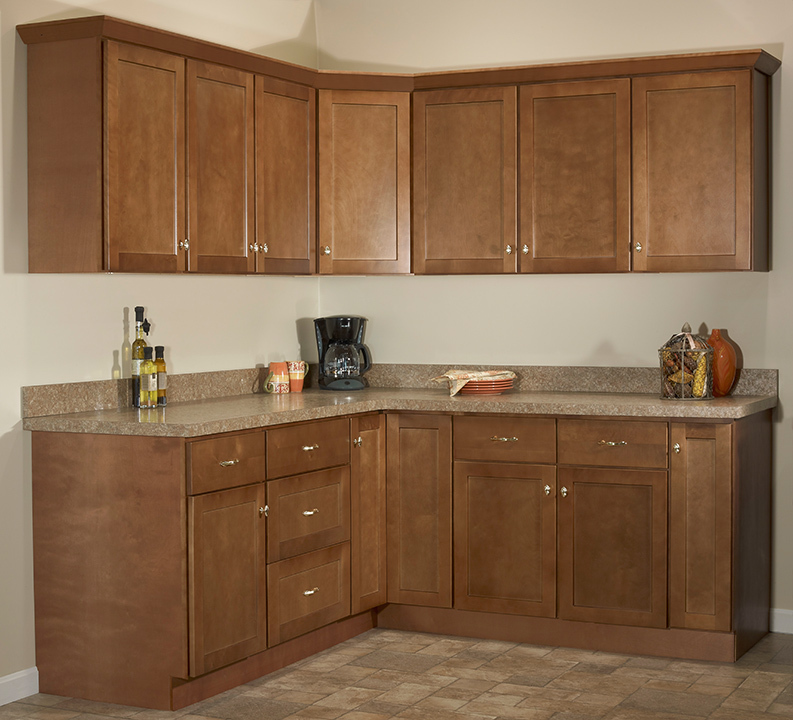 Amesbury Espresso – Traditional shaker with a rich espresso stain presents a high-end look at an affordable price. Plymouth White – Beautiful white paint on a traditional door design. Quincy Brown – This traditional with rich brown stain keeps it clean & simple. 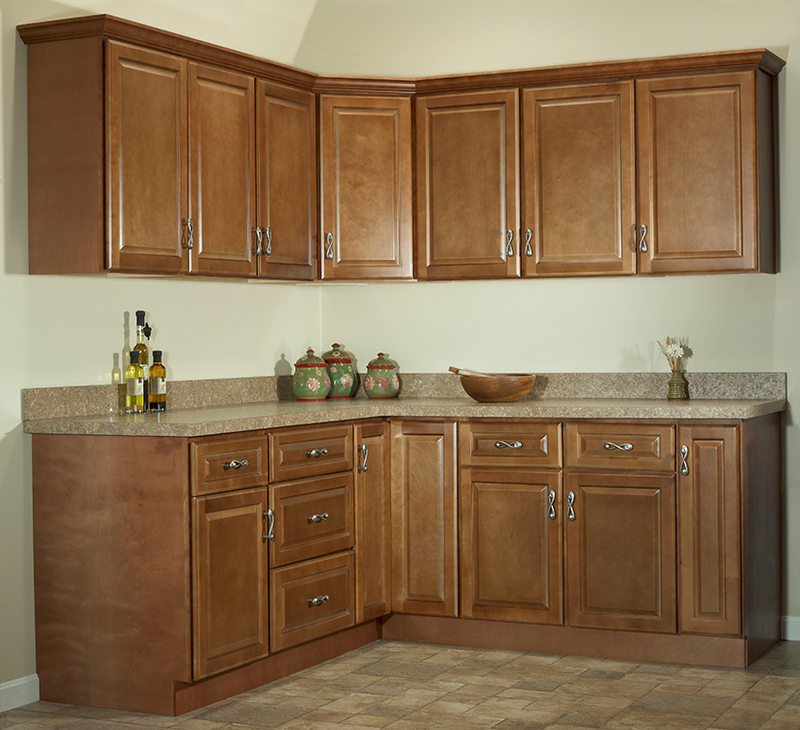 Quincy Cherry – This colonial look will impress both family and friends. 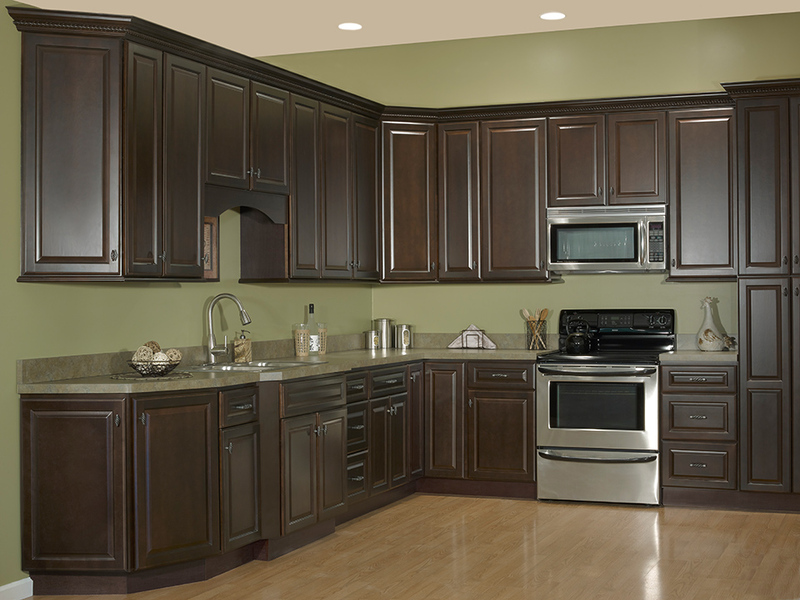 Quincy Espresso – Contemporary color on a traditional door style creates the ideal kitchen. 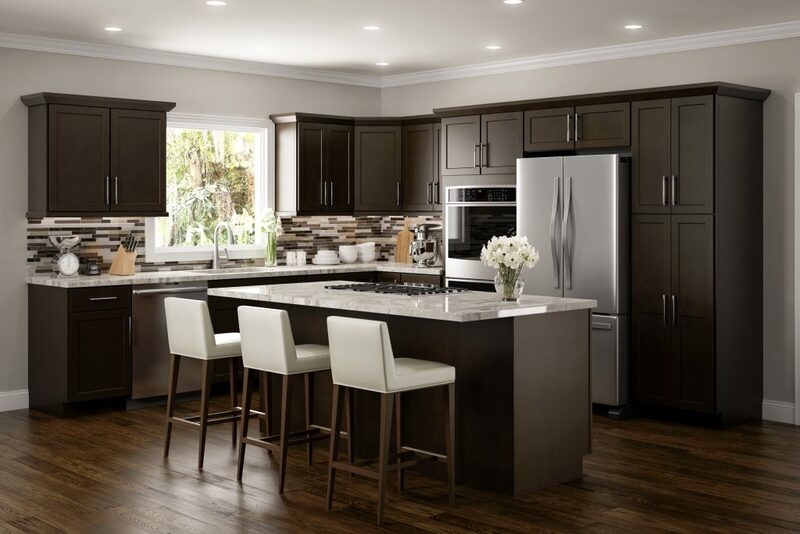 Click here for the complete JSI Premier Collection brochure.